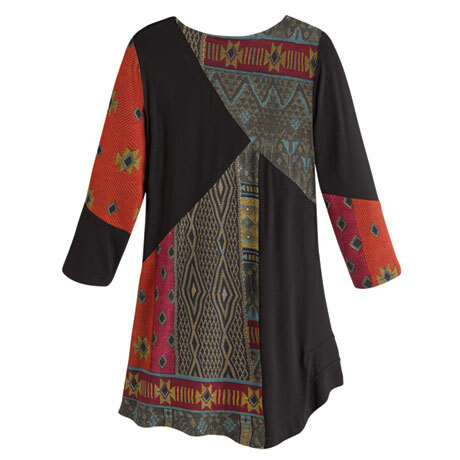 Your favorite fall look: this tunic with jeans and boots. Tapestry prints of many kinds are pieced with solid black for drama and contrast. 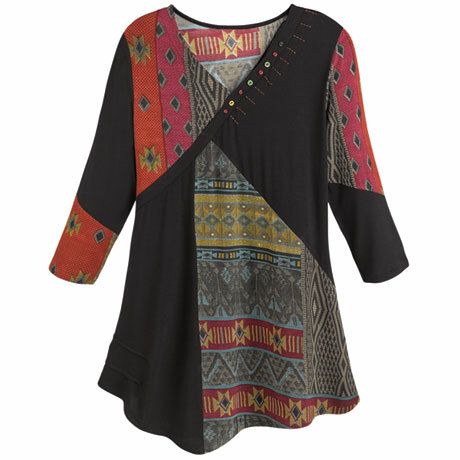 Tunic has a V-neck embellished with a row of decorative buttons and handstitching. Lightweight rayon-Lycra blend. 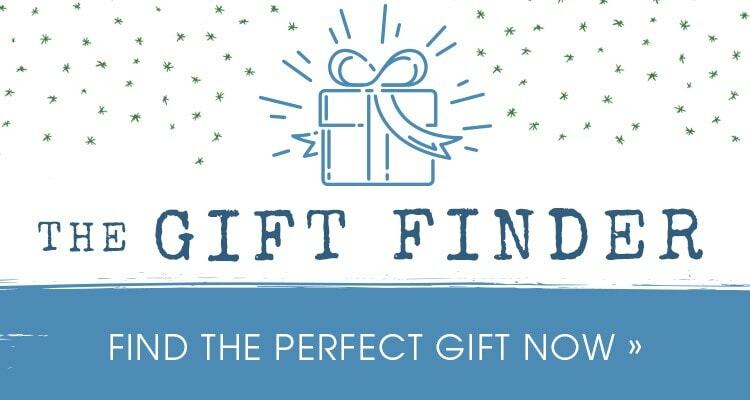 Sizes S(6-8), M(10-12), L(14-16), XL(16-18), 1X(18-20), 2X(20-22), 3X(22-24). Size M hangs 31". Machine wash. Imported.